Over the past month, the Bipartisan Policy Commission (BPC) has quietly been releasing information pertaining to a back-page story on Social Security. Just who is monitoring the system on which millions depend? 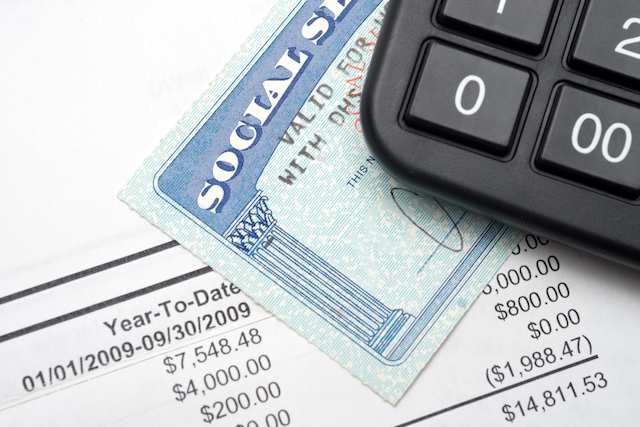 While many people believe that Social Security will pay scheduled benefits until 2034, few people know why. That date, and thousands of other statistics come from the annual Trustees Report. That data is so trusted, and valued, that it largely serves as the basis for all policy discussion for Social Security in Congress and the media for that matter. It feeds into policy decisions outside of Social Security. The production of that report by law falls on six individuals, four of whom serve by virtue of their jobs in the federal government. The last two members of the board are Public Trustees. These jobs are currently vacant – and that is a problem. What is a Public Trustee? The role was created in 1983 with the specific intent to promote the public’s confidence in the program’s finances. Why is a Public Trustee Important? While America waits for Trump to nominate individuals to fill these rolls, the gap is being bridged by the BPC. They have told us why a Public Trustee is important. Moreover, they have provided a preview of the 2017 report written by the people who have filled the role of Public Trustee previously. The author of BPC’s column focuses on the percentage of non-retirees who believe that they will not receive any benefits. Today that number (51 percent) is slightly on the high side of average since 1989 (average 48 percent). These figures reflect the hyperbolic nature of the discussion of Social Security, more than a substantive concern with the numbers. If you read the comments section following this article you will likely find volumes suggesting that money was stolen. More comments will warn us that the Trust Fund is a just an accounting trick, enabling the government to spend the money on other priorities. For these voters, there is a conviction not about the numbers of the discussion but the integrity of the system as a whole. The concern about the mismanagement of the money is no more substantive than Bigfoot, and yet it has the power to derail the debate about Social Security reform because Congress is only as good at fixing these problems as we are at voting. It is virtually impossible to build consensus in this environment. There is no set of numbers that can offset distrust. At this point, there is an audience of people who believe that the solution is as simple as putting the money back. Good luck on getting that voter to engage in a discussion on policy options that involve either benefit reductions or higher taxes. This problem is compounded by the nature of the debate, which is a toxic mix of boring details and complicated explanations. Phrases such as “percent of wages” and “replacements rates” are effectively tombstones of discussion. For most Americans the discussion of Social Security is a financial version of the Tridentine Mass. Until we provide the information in a way that average voters understand, they will continue to pursue the solution with the fewest words. Raise the cap, problem solved type of thinking. Originally, the role was Public Trustee was created to build “confidence in the integrity of the trust funds.” In order to accomplish this goal, these positions have to be filled with the type of people that possess the required business acumen, but also public gravitas to get voters to listen to facts instead of internet spam. It is entirely possible that President Trump is unaware that these jobs even exist because few in the media have even noticed that these positions have been vacant for nearly two years. For those of us worried about retirement security and the fiscal sustainability of this valued program, that should be rather alarming. « What If FERS Changed? Can You Still Retire Comfortably?